The break up of Britain has moved one step closer. The last week saw the United Kingdom profoundly changed in how it does politics, democracy and how parliament operates. The House of Commons decided by 312 to 270 voters to alter the nature of its composition by differentiating the voting rights of MPs through introducing English votes for English laws. Meaning that for English-only matters and legislation, Scottish, Welsh and Northern Irish MPs will be excluded from a new ‘grand committee’ stage of the bill – which effectively replaces the substantive second reading of a bill. Why has this happened now and why does it matter? Much of this debate isn’t actually very new. These issues were first raised in the late 19th century when Irish home rule was proposed by Gladstone, and in response, qualifying the rights of MPs was raised – then often called ‘In/Out voting’. This was pure political calculation and disavowing the spirit, if not the literal meaning, of ‘the Vow’ which Cameron, Clegg and Miliband had solemnly pledged the previous week. This is hard-nosed brazen politics. For a start it isn’t very clear what counts as ‘English’ matters in Westminster. Sometimes bills will be ‘English and Welsh’ – thus excluding the Scots and Northern Irish. And many bills are hybrids or have Scottish consequences in spending and will require the Speaker to judge whether or not Scots (and Welsh and Northern Irish) MPs can vote on them. It is also disingenuous in every way. The case put forward by the Tories is that the House of Commons already has two classes of MPs – with English MPs not able to vote on devolved matters. But this misrepresents the unwritten codes of the British constitution. 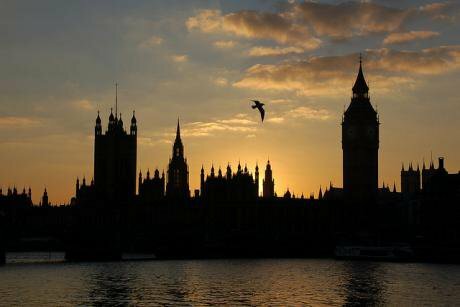 Westminster is meant to be supreme, according to the mythology of parliamentary sovereignty. Therefore, there is nothing beyond convention to stop all MPs including English ones voting on devolved matters in Scotland, Wales or Northern Ireland. What English votes for English laws shows is the threadbare nature of what passes for British democracy and constitutional practice. Tory MP Jacob Rees-Mogg, ‘the honourable member for the 16th century’ as Labour MP Chris Bryant called him, was left defending the proposed tax credit cuts by parliamentary precedent dating back to 1487 and 1678 – giving the game away of the pre-feudal nature of parliamentary democracy. The House of Commons has 650 members and the House of Lords over 800. Besides, the Conservatives want to decrease the elected House and increase the upper house – limiting democratic accountability. English votes continues this rebalancing in favour of non-democracy, for the 59 elected Scottish MPs will now have less voting rights, for example, than the recently appointed and non-elected Michelle Mone. This is constitutional vandalism – and one which sits in a Tory tradition of treating the British constitution as its personal property. This behaviour includes abolishing local government it didn’t like or couldn’t control: the London County Council in the 1960s, the Greater London Council, English metropolitan councils and Scottish regions in the 1980s. Some commentators have welcomed English votes as a first step towards a federal Britain, but this is just wish-fulfillment. Instead, this is institutionalising Britain’s unbalanced constitution, and attempts to see the answer to Scottish devolution as laying in Westminster. This is completely wrong – it can only be found outside Westminster, in breaking up the power and privilege of the centre, and decentralising to English regions or creating an English parliament. It took 169 days from the election of the 56 SNP MPs for Westminster Tories to vote to change the rules. It reduces Scottish, Welsh and Northern Irish MPs to second class, part-time MPs who can only partially represent their constituents. In particular, it diminishes the Welsh and Northern Irish Assemblies, which have significantly less power and status than the Scottish parliament. While no formal political rule would state it bluntly, Scottish, Welsh and Northern Irish MPs would find it problematic being ministers in a variety of ministerial and government posts, which in effect, Balkanises membership of the House of Commons. It would affect who could become Prime Minister, with the latter Gladstone administrations, great reforming Liberal governments of Campbell-Bannerman and Asquith, Tory Bonar Law and Alex Douglas-Home, and finally, Gordon Brown, all being less likely to become leader, lacking political legitimacy by dint of sitting for a Scottish constituency. It also sets bad political precedent. The SNP have also done this by voluntarily not voting on English matters, then reversing this post-election. Why should MPs elected under one system of representation have their voting rights changed mid-parliament? Tories like Rees-Mogg would cry foul if Labour tried something similar. It took 169 days from the election of the 56 SNP MPs for Westminster Tories to vote to change the rules. That looks like seeking revenge. More importantly, what this illustrates is the long death of Tory unionism – the glue that held the UK together for so long – and which was always much more convincing and coherent than Labour’s unionism. Over the last year, since the day after the independence referendum, the Tories have played fast and loose with the unwritten British constitution, appealing only to their narrow English base. In so doing they show that not only do they not understand Scotland, but neither do they understand the patchwork nature of the UK they claim to espouse. The past week marked the end of Tory unionism, which has been a long time coming, and probably the beginning of the end of Britain as we know it.